Daler Rowney's Linseed Stand Oil reduces the consistency of oil colours and enhances flow. This medium is viscous and dries slowly to a tough elastic film. 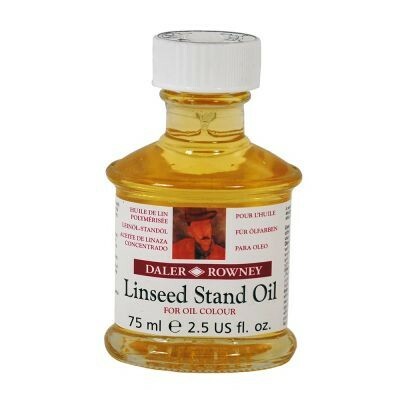 It is faster drying than pure Linseed Oil. It also reduces brush marks in your paint film.